The Baldwin DT-6-6-2000 was one of the most interesting models released by a major manufacturer. The Baldwin Locomotive Works was the first company to catalog a single-unit, transfer switcher. This design was a specialized type of locomotive intended for use in heavy drag service over short distances, such as on terminal railroads or moving cuts of cars between local yards. Believing that there was a market for such Baldwin released the DT-6-6-2000 directly after World War II, one of first models to employ the company's own prime mover. For a switcher, it was massive and, ironically longer than virtually every road switcher or cab unit on the market at that time. However, it was powerful and offered absolutely phenomenal tractive effort. Unfortunately, the design had mechanical issues and railroads were never really interested in such a specialized locomotive resulting in fewer than 50 constructed when production had ended. The Baldwin DT-6-6-2000 was an incredibly large switcher, originally cataloged by the company during May of 1946. At over 70 feet in length and weighing a hefty 360,000 pounds or 180 tons, the switcher was certainly one of the largest, longest, and heaviest of its kind ever built. It utilized two of Baldwin's 608NA model prime movers, using a C-C truck setup (i.e., three axles per truck) and produced 2,000 horsepower. 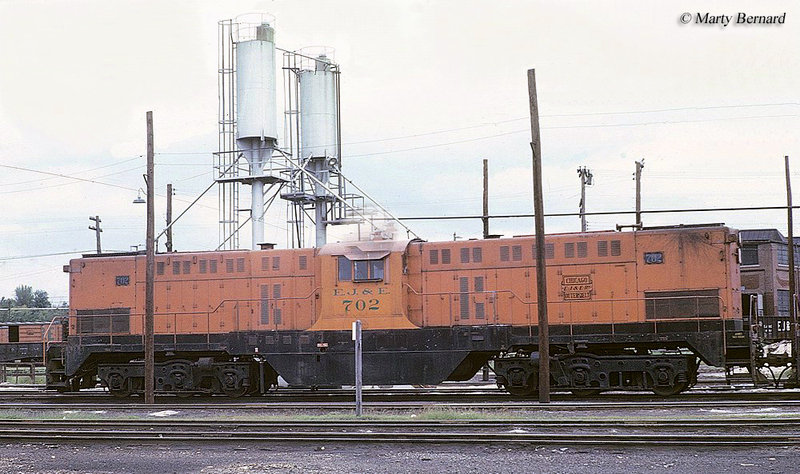 Perhaps most unique to the model was that despite its incredible length the locomotive featured a centered cab giving it the appearance of a common switcher only on steroids. Unfortunately, its size and locomotive of the cab made visibility rather poor for the crew. The locomotive was also fairly tall at 14 feet to the top of the cab. For more information about the DT-6-6-2000 model please click here. During the 1940s Baldwin still shrugged the notion of diesels being employed in main line freight services. The company also held the philosophy that those models it did produce should be customized to either whatever the railroad requested or for a specific job/task. This notion harkened back to the days of steam, which were nearly almost manufactured and tailored to a railroad's specific needs. As a result the DT-6-6-2000 was born. The switcher's classification was similarly based from the steam era and is why it includes many letters, dashes, and numbers. 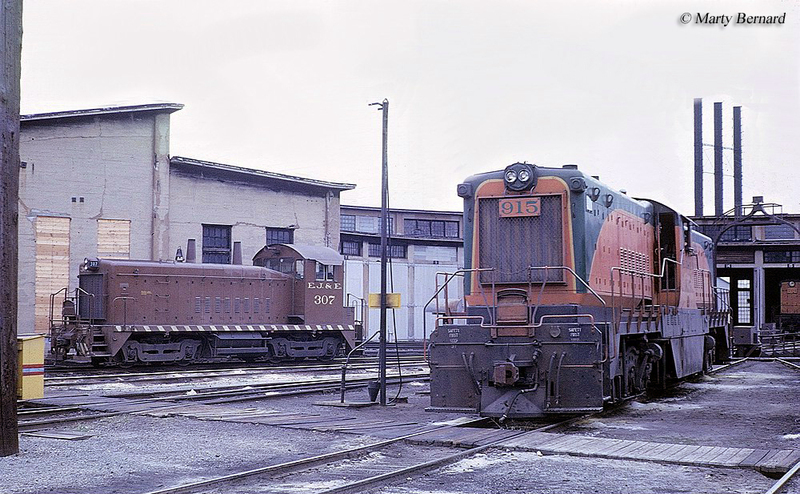 The "DT" referred to Diesel Transfer while the first "6" referred to six overall axles; the second "6" referred to six powered traction motors; and "2000" stood for the horsepower rating. As it turned out there was not much of a market for the transfer switcher; Baldwin ultimately only sold 46 units by the time production had ended in February of 1950. 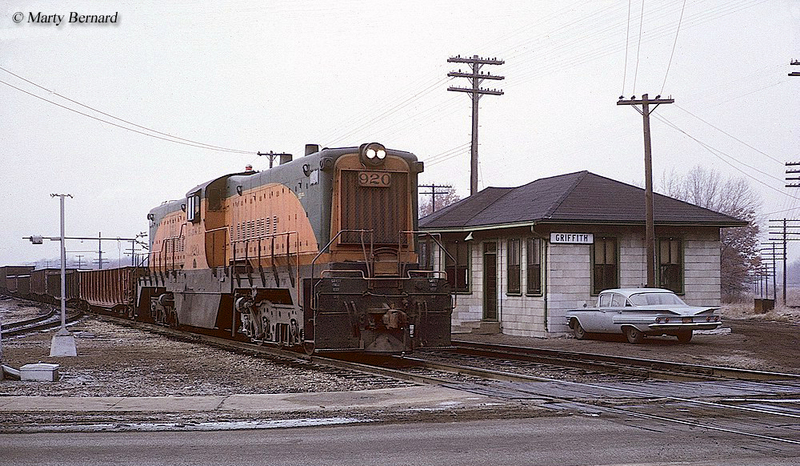 The Elgin, Joliet & Eastern Railway purchased the most, 27 (including one of the demonstrators), and actually became quite famous for its fleet of DT-6-6-2000s although they would later be re-powered with Electro-Motive's reliable model 567 prime movers, extending their service lives through the mid-1970s. In any event, the locomotive could not be questioned for its astronomically high tractive effort, something no other switcher could match; 105,000 pounds starting and 62,250 pounds continuous. If you were wanting to move long cuts of heavy loaded cars the DT-6-6-2000 was certainly up to the task. Baldwin also released an updated version of the transfer switcher, the RT624, but it would sell even fewer than its predecessor. Today, one Baldwin DT-6-6-2000 remains preserved; former Minneapolis, Northfield & Southern Railway #21 at the Illinois Railway Museum. For more information about the DT-6-6-2000s and all Baldwin transfer switcher models please refer to the chart below. For more information on Baldwin locomotives the book by the same name, a Brian Solomon title, provides an in-depth history of the company from its earliest days beginning in the 1930s to its final years constructing diesels during the mid-20th century. It 160 pages in length and, as with every Solomon book, offers a rich collection of large, sharp photos to enjoy. Another title of interest, also written by Mr. Solomon, is Vintage Diesel Power, which generally highlights several classic models from many of the noted builders of first-generation power such as Electro-Motive, Baldwin, and the American Locomotive Company.